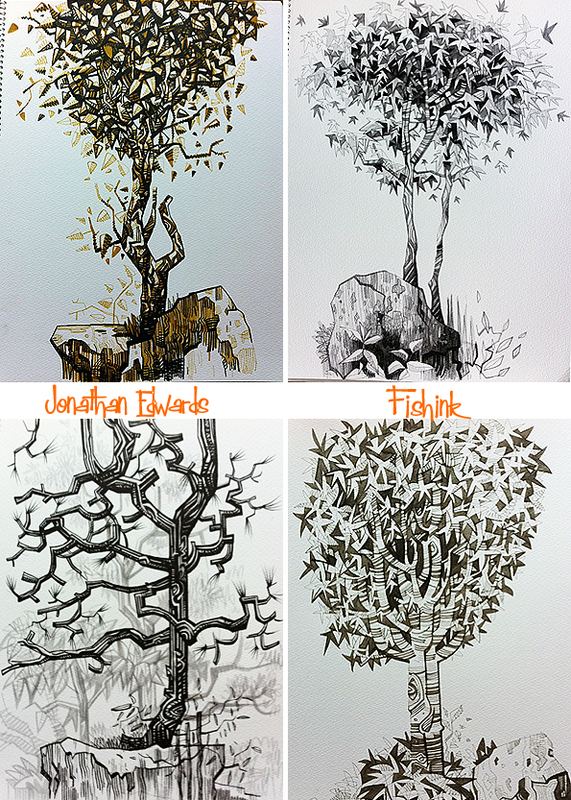 I first noticed the work of Jonathan Edwards whilst on Instagram. 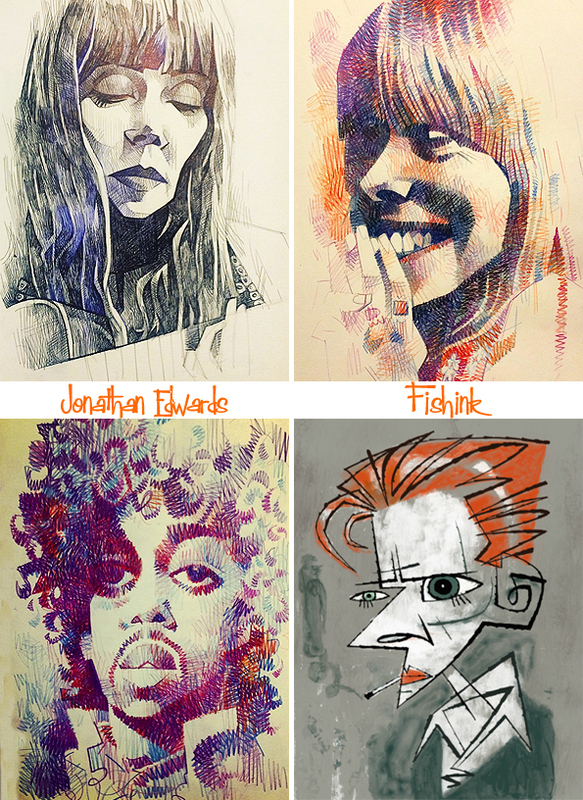 His beautiful pencil drawings of Joni Mitchell caught my eye. 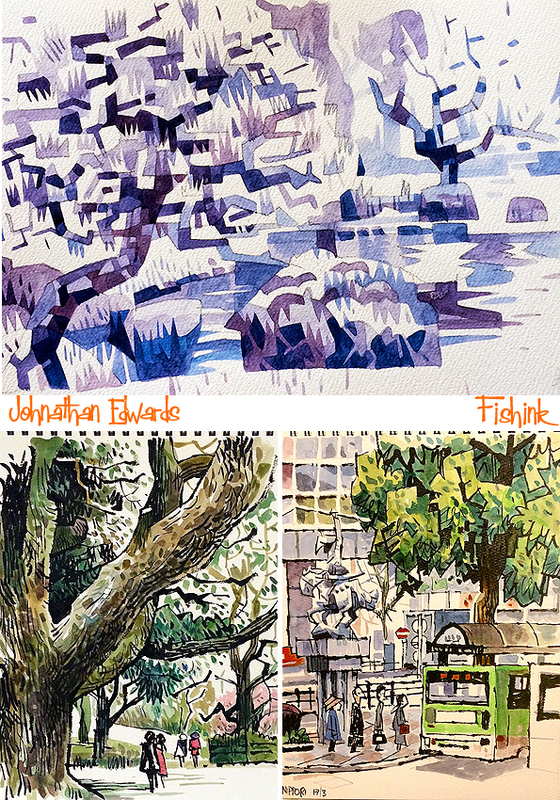 Then later, his watercolours of trees and his fabulously loose, fifties-feeling sketchbook pages, all made me want to discover more. His characters are perfect, you can spot everyone so easily. He has worked in the comic world, appearing in 1993 in Deadline and Tank Girl Magazine with strips such as Dandy Dilemma, Simon Creem, The Squabbling Dandies (with Richard Holland) and one pagers about, amongst others, Scott Walker, Sly Stone, Nancy Sinatra, Kraftwerk and The Beach Boys. Also doing editorial illustrations for various company products and magazine articles. 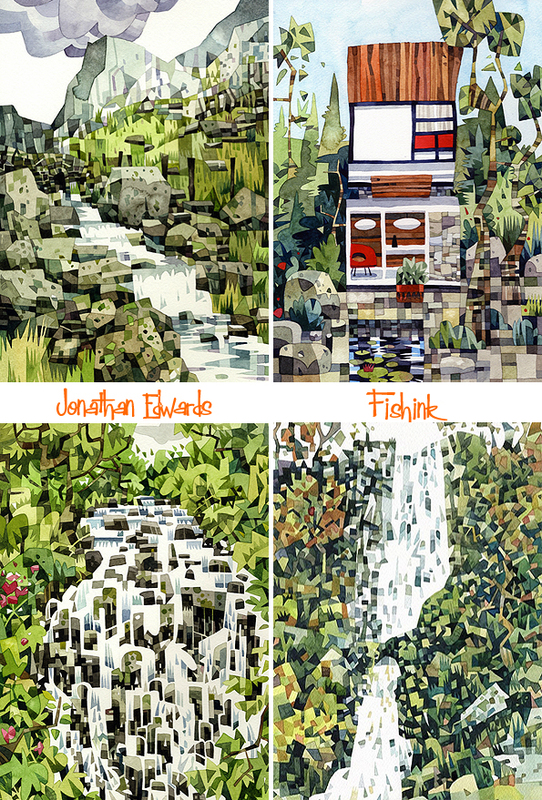 I love his watercolours, a couple here of Welsh landscapes. A few from his travels in Tokyo and other places. 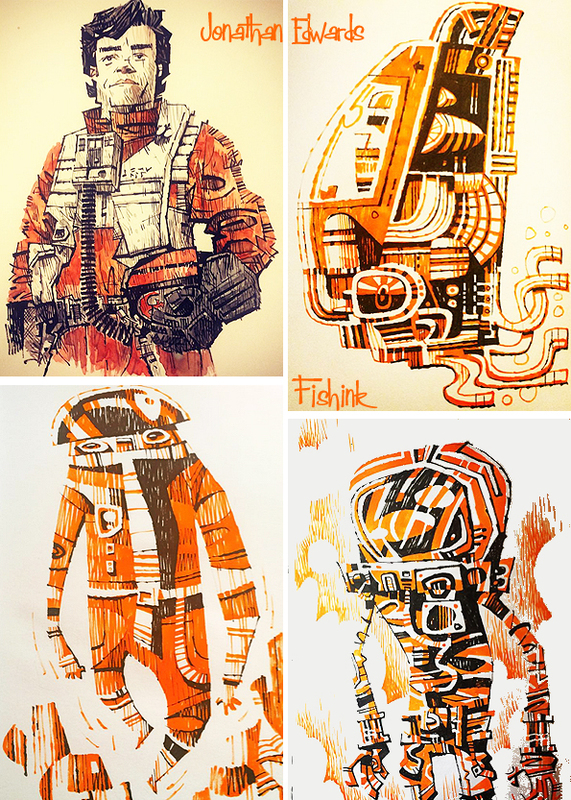 His sketchbook work is vibrant, expressive and wonderfully stylised. These yellow and grey sheets were amongst my personal favourites. How fifties and calming. Funnily he was in Lisbon around the same time as me, we might have had a coffee at the next table and never known lol. His creations and creatures have no boundaries. 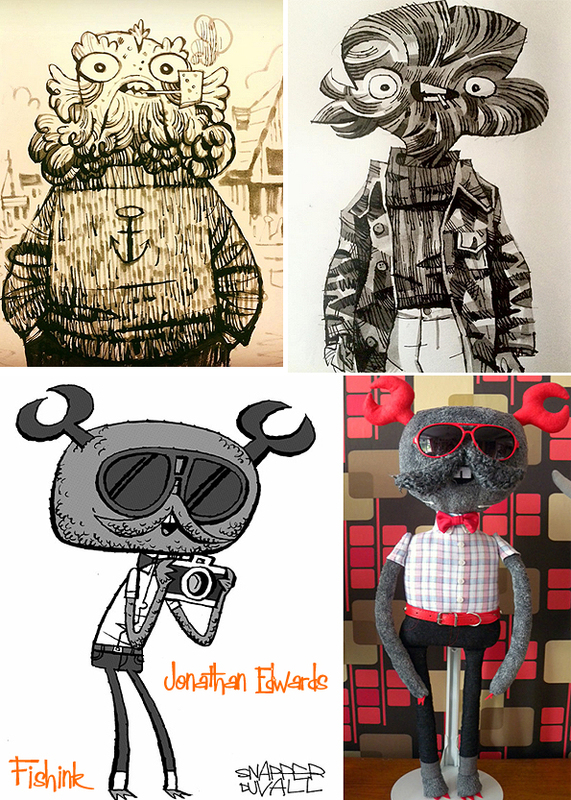 Jonathan often teams up with his talented partner Louise Evans aka Felt Mistress, to create some 3-D versions of his illustrated characters. How amazing are these ? 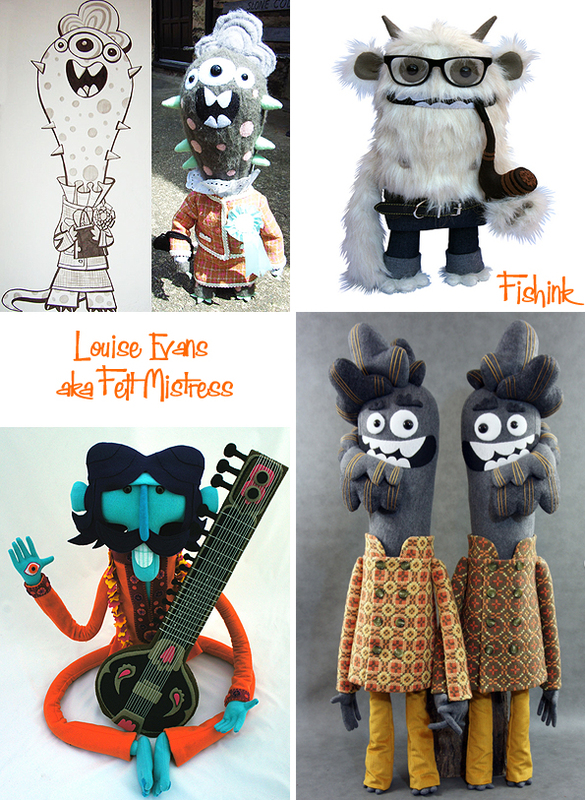 Louise is a UK based stitcher and prolific tea drinker who creates a range of one-off bespoke creatures. 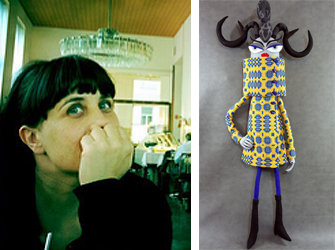 Originally trained in fashion design and millinery, Louise has brought many of the skills learnt through years of work as a couture dress maker to the world of character design. What a wonderful combination, to be able to turn your drawings into something real and huggable ! 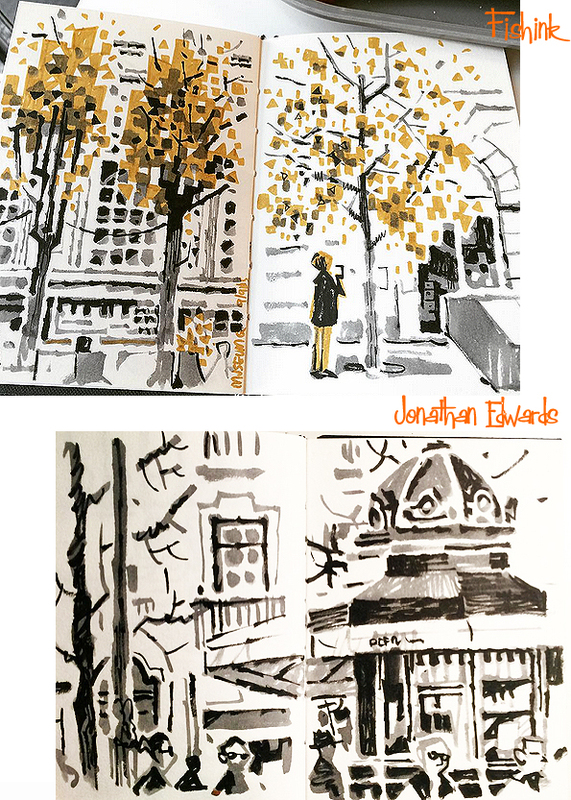 A few more of Jonathan’s vivid sketchbook pages. Such beautiful tones and movement, you can feel the warmth of the sun on the dappled pavement beneath this great old tree. Stunning work. 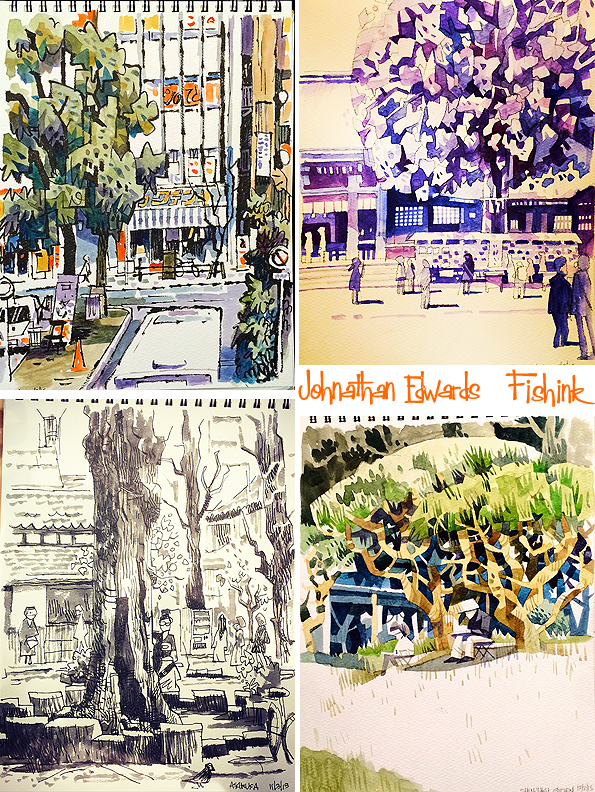 You can see more on Jonathan’s Instagram page here. 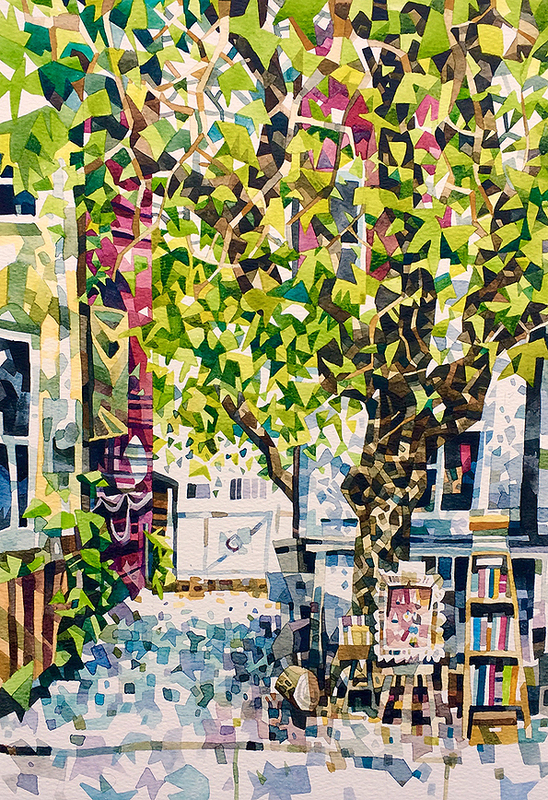 Love it – stunning work! 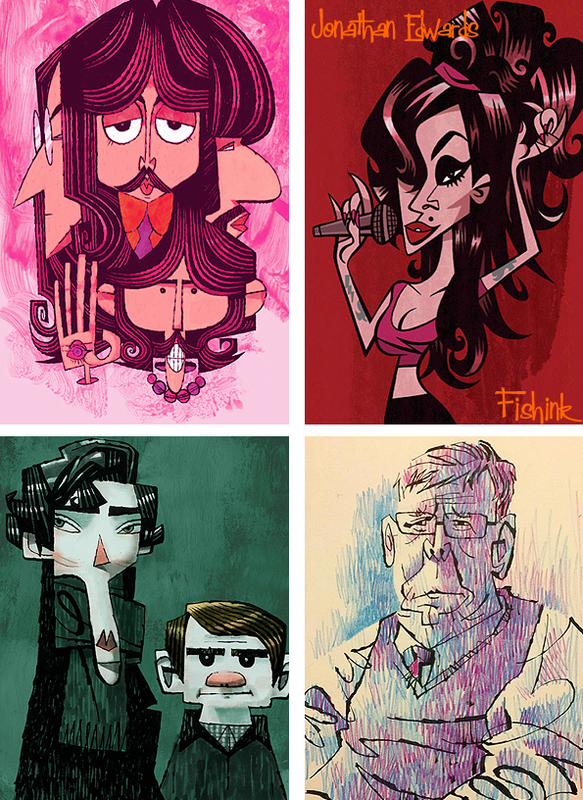 Really great artist who works in varied styles and does them all well. And those felt creatures, I’m in love. Glad you like Jonathan’s work too Joanie. Thanks for your comments. Such a fan of both of them, thanks for introducing them. Thank you for introducing me to the work of these wonderful artists. 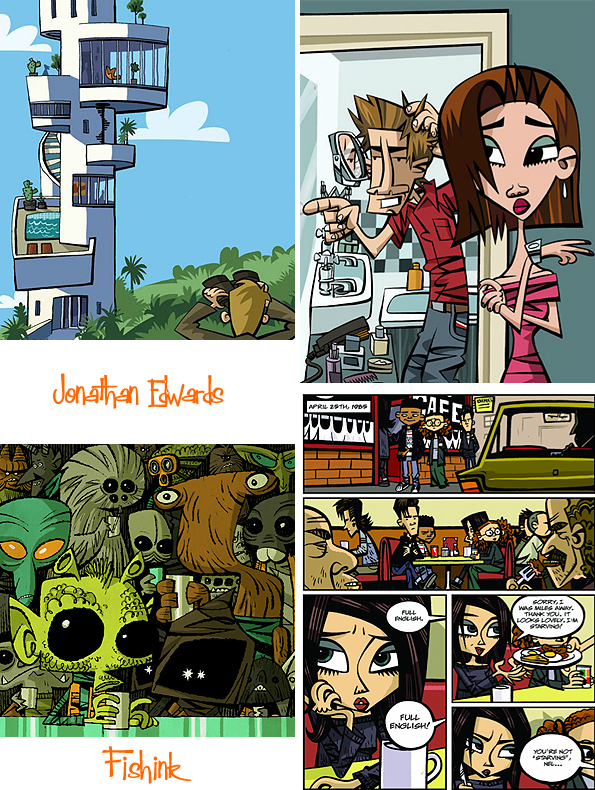 I love Jonathan’s style and the fact he is depicting so many of the nerdy and geeky things I enjoy just adds to that. Then I saw Louise’s felt creations and I just wanted to hug them. 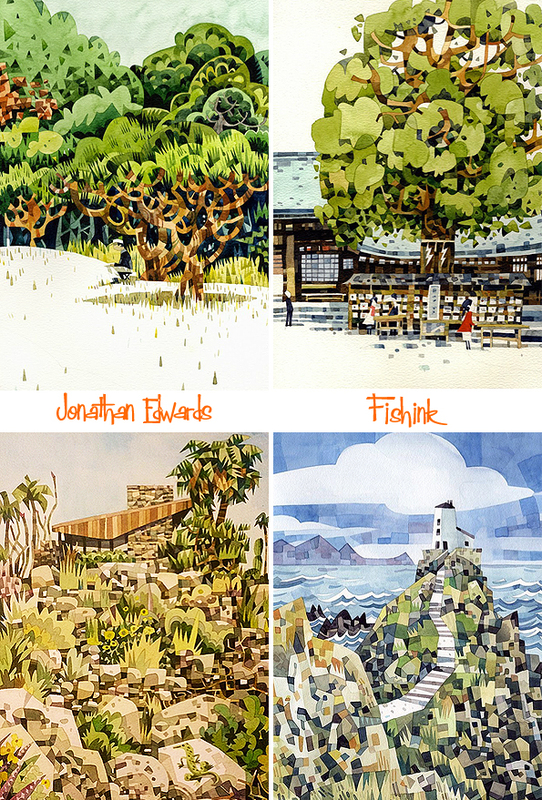 Aren’t they perfect, three-dimensional, tactile illustrations? Wow! Hi Laura, perfect commentary I feel. Nothing more needs saying, you summed it up perfectly thank you. Great post Craig! 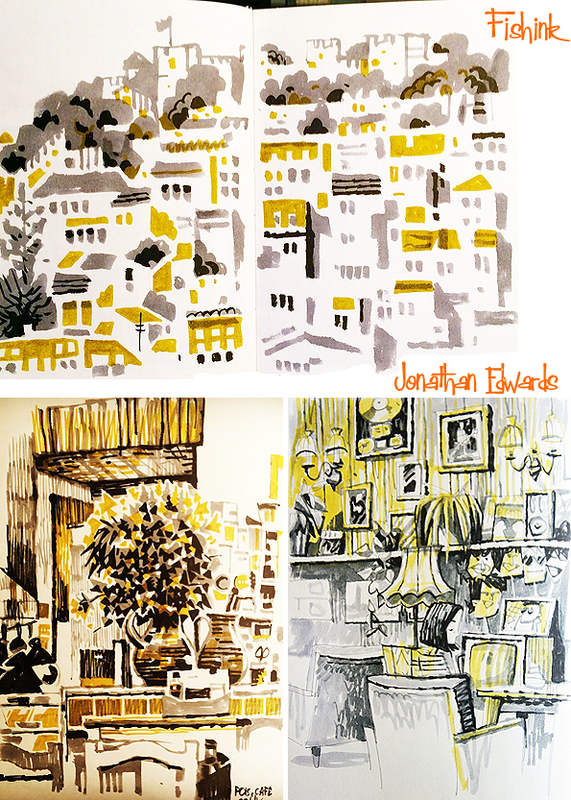 I love Jonathan’s work, especially the yellow and grey 50s inspired pieces. 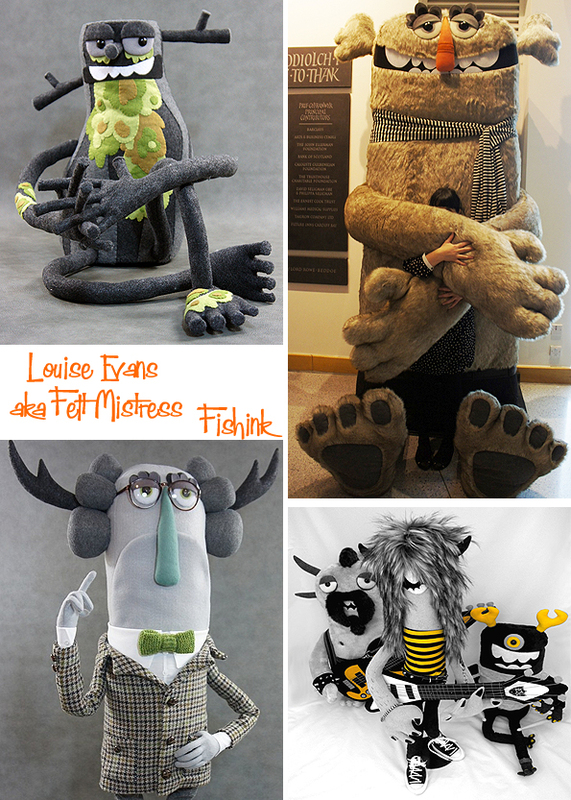 As for Louise’s work, her felt creations are stunning. I just wish that they were real so you could have a conversation with them! You could only imagine what they would say!